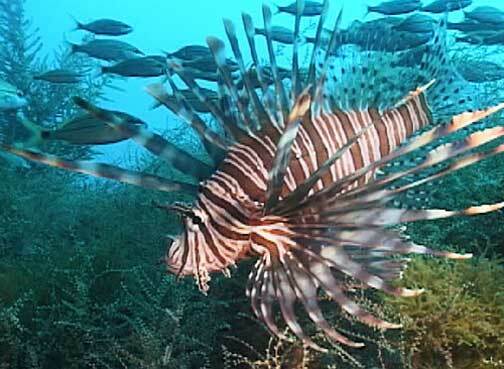 If attacked, the carnivorous lionfish delivers a potent venom via its needle-like dorsal fins. Its sting is extremely painful to humans and can cause nausea and breathing difficulties, but is rarely fatal. Average lifetime in wild: 15 years. A lionfish will often spread its feathery pectoral fins and herd small fish into a confined space where it can more easily swallow them. Photograph by NOAA. 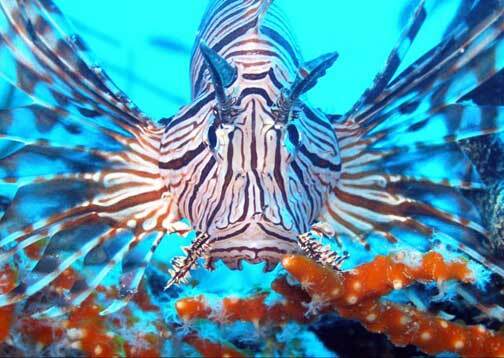 Lionfish head on. Image © 2006 by Ada Staal. 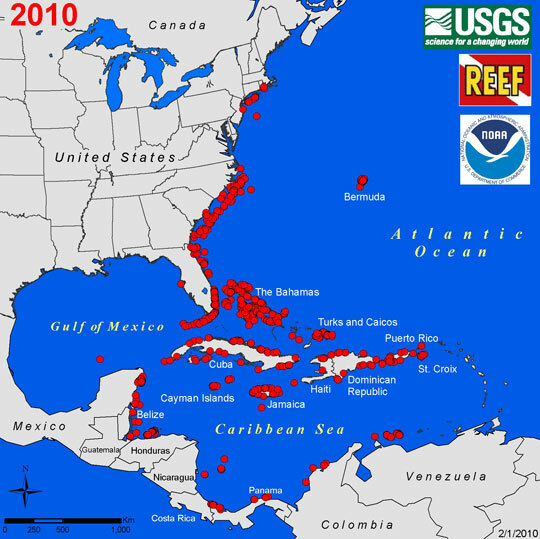 February 25, 2010 Key Largo, Florida - The lionfish is any of several species of beautiful, venomous marine fish of the family Scorpaenidae native to the Indo-Pacific oceans. Lionfish extend from western Australia and Malaysia east to French Polynesia, the Pitcairn Islands, southern Japan and southern Korea.